Amber Kowatch from Ludington's Franklin Elementary shares how her 2nd grade students use wikis to help them connect and reflect as they write. Amber gives some fantastic ideas about different ways wikis can be used at any grade level. OARnet 100 Gbps Network Lighting from OH-TECH on Vimeo. Merit Network and the Ohio Academic Resources Network Light Fiber-Optic Connection in Hillsdale Enhanced Collaboration between two statewide education and research networks Ann Arbor, Mich. -- Merit Network Inc. and the Ohio Academic Resources Network (OARnet) announced today that they have completed construction and lit optical equipment providing a secondary connection between their respective networks. "Merit has long had a strong collaborative relationship with OARnet, our sister network in Ohio. This additional connection between our organizations is another step in increasing the collaboration opportunities for us and our Members. The new connection in Hillsdale provides both organizations with increased redundancy for our networks, this is important in our efforts to ensure we continue to provide a resilient network for our communities", stated Bob Stovall, Vice President of Network Operations and Engineering for Merit Network. The additional connection between Merit and OARnet, a member of Ohio Technology Consortium, is located at Hillsdale College. As part of the Merit REACH-3MC project, Merit not only built a network route across the southern border counties, including Hillsdale County, but was also able to rent collocation space for network equipment at Hillsdale College. In collaboration with Merit and Hillsdale College, OARnet has also arranged for collocation space at Hillsdale College, providing the location for both networks to interconnect. This additional connection now provides the Hillsdale community with four redundant network paths in and out of the county. Merit and Hillsdale College have an extensive relationship, dating back over 20 years. Merit connected the College to Merit's backbone network and later helped foster collaboration in the community that would connect the City of Hillsdale and Hillsdale Intermediate School District. "Hillsdale College has been a Merit member since 1992," stated David Zenz, executive director of information technology services for Hillsdale College, "and it was always a dream to figure out some way to eliminate expensive data circuit costs to free up funds to purchase more bandwidth. In 2008 The City of Hillsdale, the Hillsdale Intermediate School District, Hillsdale College, and Merit figured out how to do just that." The idea of a connection between OARnet, Merit's network, and the fiber-optic network collaborative in Hillsdale grew out of planning for the REACH-3MC network, and after a few years of hard work, the project is now a reality. The network connection in Hillsdale now provides superior redundancy and performance for organizations in Hillsdale. "Merit and OARnet have always looked for innovative ways to collaborate to provide better services to their end-users," said Pankaj Shah, executive director of the Ohio Supercomputer Center and OARnet. "The connection is another exemplary effort between Merit and OARnet, further cementing the relationship between two leading networks in the Midwest. Hillsdale offers OARnet numerous benefits, from increased connectivity to network resources in Chicago to improved robustness of our circuits throughout Northwest Ohio." "Merit's REACH-3MC project not only provided improved broadband access to much of the un-served regions of our state, but the connection to OARnet in Hillsdale has also allowed both organizations an opportunity to improve service to our Member institutions in both states," stated Don Welch, president and CEO of Merit Network. "Only in the digital age could a little community on the digital frontier come to be one of the best connected locations in the country. That is just plain "cool!" stated Zenz. Here is a STEM Christmas Gift idea that help with creativity and engineering for young girls. "Technology is not a teacher–even with the best software, the technology is not the professional in the room" – Talbot Bielefeldt, Senior Research Associate. Software: ZF 9.7 will be released in December. It has many hot features like SmartWay Bonjour gateway and client secure features. · What is SmartWay? Ruckus SmartWay is a solution for Bonjour Gateway solution that supports all Apple Bonjour for devices and services such as Apple TV and iTunes. SmartWay will enable organizations to enable and bridge these services in designated networks and areas. · In AF 9.7, security features such as client isolation will also be available. Client isolation protects mobile devices and their data by ensuring no one else can see the device or the traffic in the same subnet. This protects devices against advanced security threats. Mobile Apps: ZoneDirector Remote provides the capability to configure & monitor ZoneDirectors and attached Access Points. Previous versions of ZDR only supported read-only, and ZDR 9.7, for the first time, enables read-write capabilities on ZDs running 9.7. “School Teacher: Would you tell me, please, which way I should teach here? The Cheshire School: That depends a good deal on where you want to get to. School Teacher: I don't much care where. The Cheshire School: Then it doesn't much matter which way you Teach. School Teacher: ...So long as I get somewhere. But will you really get your students were they need to go! If you want to get them to achieve mastery of subject, then you need to have a plan where you are going to get there. Teach with purpose to get there. Get more out of Google Calendar wit these 5 tips. What is CoSN and what is the leadership role that they play in creating the leadership needed to move our organizations in the right direction as educational leaders. This video has some dead air time for the first 9 Min. So you may want to skip ahead to the start of the conversation. TEDxKC talk synopsis: Today a new medium of communication emerges every time somebody creates a new web application. Yet these developments are not without disruption and peril. Familiar long-standing institutions, organizations and traditions disappear or transform beyond recognition. And while new media bring with them new possibilities for openness, transparency, engagement and participation, they also bring new possibilities for surveillance, manipulation, distraction and control. Critical thinking, the old mainstay of higher education, is no longer enough to prepare our youth for this world. We must create learning environments that inspire a way of being-in-the-world in which they can harness and leverage this new media environment as well as recognize and actively examine, question and even re-create the (increasingly digital) structures that shape our world. Education leaders should take a page from the "balanced scorecard"
A few years back I was visiting Ferris State University and my long time friend Scott Thede show me how they were moving to Dashboards and Balanced Scorecards. Here is a summery of an article that will help us to understand what this means. "Education leaders should take a page from the "balanced scorecard" approach that has reshaped how private- and public-sector firms have approached data and management. Making Data-Driven Management a Reality Today, even school districts routinely heralded as data-driven have rarely invested in the technology; hired the personnel; or developed the requisite expectations, feedback loops, analytic competencies, and accountability processes necessary for breakthrough management. Consequently, today many schools and systems are at the edge of their capacities when they seek to produce achievement data in a timely fashion. This is a problem. We do not term a hospital "well-run" because its doctors use diagnostic tools. We would instead reserve that label for hospitals where staff were competent and efficient, supplies were carefully tracked and promptly refilled, data files were up-to-date, personnel needs were quickly handled, and so forth. Yet, in schooling, systems that have embraced only the most basic tenets of professional practice are deemed paragons of modern management. What would it take for systems to start collecting data for breakthrough management? There are six steps. They form a rough hierarchy, so we will start with the most essential. Step One: Accurate Collection of Basic Student, Financial, and HR Data. The first step for any organization is to collect the most fundamental data on what it does and how it spends its money. School systems are generally pretty good at this. Federal law now requires systems to test students and collect basic achievement data, while financial management requires districts to track spending, enrollment, attendance, and payroll. Step Two: Data Linked across Time. Once districts have the initial building blocks, the key is to link them across time in order to determine how to improve performance. In general, a district that can collect its basic data accurately can also link them longitudinally. There are significant exceptions, however. Some systems do not maintain consistent identifiers across years for students or employees. One common problem is that organizational change is not accounted for in financial coding systems. Districts may assign costs only to offices (such as the Office of Instruction) and not functions (such as math professional development). The result is that when a district reshuffles its organizational chart, it cannot make comparisons over time. Step Three: Customer Service and Satisfaction Data. Every company knows that its existence depends upon the satisfaction of its customers, and great companies measure customer service from several sources (internal and external) to diagnose potential problems quickly. Making such data managerially useful requires not just collection, but also ensuring that the data are routinely and systematically mapped onto processes and programs and analyzed. Step Four: Data with Sufficient Granularity to Illuminate Units and Activities within Departments. Measuring efficiency and effectiveness requires measuring outputs and processes in units that are often overlooked. In regard to the role of HR, various measures might signal opportunities for improved productivity. Such measures might assess how long it takes an HR department to vet, interview, and hire or reject an applicant; how HR managers apportion their time; or the resulting quality and quantity of applicants. Typically, systems will know how much is spent on HR and the number of staff but not how much time the HR staff spends on recruitment or responding to the needs of teachers. Step Five: Data Connected across Content Areas (and to Outcomes). Even if the efficiency of HR processes has improved and vacancies are filled more rapidly, more is needed to judge effectiveness. For instance, do the new teachers achieve better or worse student outcomes than the teachers that came before them? Do they stay longer? Answering these questions requires connecting the HR system data to student-level longitudinal test data to retention data to survey data. This level of data sophistication makes activity-based costing and cost-benefit analysis possible. Step Six: Doing the Above in Real Time. Ideally, district management should be able to find out instantly which schools are waiting for textbooks or which teachers have received what professional development. Collecting and connecting these kinds of data allows school system leaders to determine which programs are cost-effective, how their system compares to others on a range of activities, and where they need to improve. Few or no school systems have all of these elements in place today. Most are currently at step two. Consultants or internal district analysts can--with enough time, manpower, and supplemental data collection--provide school systems with analyses that may push to steps four and five--usually on a project basis. Getting to step six is a whole new ballgame. The Numbers We Need So what kinds of data should systems report on a balanced scorecard? We identify six essential domains. Unfortunately, even those that have been an ostensible priority have been shortchanged by a focus on what elected officials demand rather than on what will help leaders improve schools. Domain One: Tracking Student Outcomes. The most important measures are those tracking student outcomes. Just a decade ago, most districts had abysmal systems for tracking achievement and school completion. Today, most can provide coherent data on how well students are doing on state assessments, but outcome metrics beyond state assessments can be difficult to come by. Key data include: Performance of students on various substrands (for example, number sense or spatial relations on the math test) of state tests with results accessible to the classroom teacher. Item-level analysis at the individual student and classroom level. This allows teachers to analyze whether all or most of their students miss the same test items, and then to adjust their teaching strategies. Employment or enrollment status of students after high school. Domain Two: Tracking Students, Staff, and Inventory. Monitoring the number of students and teachers, facilities, and district assets provides important operational base lines. Systems have historically been good at tracking these kinds of data, largely because state and federal requirements led districts to configure their data systems accordingly. Unfortunately, there has been less success ensuring that these data are captured with sufficiently useful granularity or are matched with expenditures, programs, and outcomes. Key elements would include: Authorized staff positions, the location of the positions, the purpose and reporting relationships of the positions, whether they are filled and by whom, and whether they are full or part time. District assets and materials, where they are located, and the transfer of assets between locations (for example, the delivery of textbooks). Students, which schools and classrooms they attend, and the teachers and staff in those classrooms. This should include not just the "teacher of record" for the students, but also aides, tutors, and other staff working with the students. Domain Three: Finance. This is another case in which systems routinely track transactions but few have invested in tracking expenditures in ways that permit their impact to be assessed clearly. A management-friendly system for tracking expenditures would link dollars with programs, actual employee time, activities, and students. If a professional development coach or a gifted-and-talented teacher works at multiple locations, this should be readily trackable and linked to the teachers or students in question so cost-effectiveness can be assessed. Key questions rarely addressed well include: Are dollars being spent in specific schools and classrooms or are they being spent by a central administration and then "allocated" to school sites based on calculations and projections? Who decides which expenditures to make, and for whom does the expenditure take place? For instance, is a school-based professional development program purchased by the central office or by an individual principal? Domain Four: Instructional and Curricular Operations. Instructional and curricular operations have received heightened attention as a focus on instructional leadership has led district leaders to devote more time to providing professional development and related resources. Nonetheless, there are few districts that collect and track instructional and curricular services in a manner that informs judgments about program efficacy and efficiency. Most tracking does not permit leaders to identify particularly effective tactics or personnel, or opportunities for cost savings. Key data should include: What professional development is delivered to which personnel, when, for what length of time, and by whom. What tutoring or afterschool programs are delivered to which students, when, for what length of time, and by whom. Which reading programs and which math programs are used by which schools and how well they are implemented, at what cost, and with what results. Domain Five: Human Capital Operations. More crucial than any other element of school-system management may be human capital operations. Dramatically improving the quality of teaching requires that a system be able to monitor personnel; gauge performance; and competently manage hiring, transfers, benefits, employee concerns, and termination. The key is to develop metrics that reflect meaningful organizational performance, such as: The quantity of applicants for positions, how rapidly they are screened, and the rapidity with which successful applicants are placed and prepared. The satisfaction of employees with the support and responsiveness of HR to various concerns. The performance of personnel on various relevant metrics beyond student achievement (such as soliciting performance rankings of teachers by their principals and of other employees by their managers). Domain Six: System Operation. Finally, it is essential to monitor business practices that facilitate system operation, such as procurement, IT, data management, and maintenance. The functioning of these elements is crucial to support school leaders, classroom educators, and school communities effectively. The key, again, is to measure these services not in terms of inputs but in terms of core metrics that accurately reflect performance. Key metrics would include: How long it takes the district to process a supply request, how rapidly supplies are delivered to the classroom, and how the system's cost per order compares to benchmarks. How rapidly school personnel are able to access the results of formative assessments, how satisfied they are with the user-friendliness of the data interface, and how intensively and extensively faculty make use of formative assessments and student data." This is a summery from an AEI Article to help us understand what factors are needed in a Balanced Scorecard and for training technology people on what is needs to be understood in creating a system to help improve our system using all facets of our systems. The second Book Club 106 conversation for Mindset, covering chapters 3 and 4. We talk about whether the author has gown too far in trying to simplify her concept of fixed and growth mindsets, and we eagerly anticipate learning some effective strategies for improving mindsets. Malcolm Gladwell: Who Needs Google? Teachers and administrators share their successes with implementing Khan Academy in the math classroom. The video addresses how Khan Academy contributes in the following ways: enhances personalized learning, strengthens data-driven instruction, ensures mastery-based learning, and helps teachers engage and challenge their students with meaningful interactions. 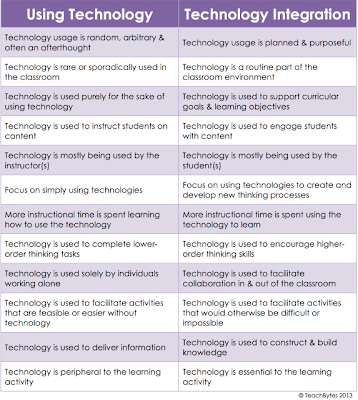 Learning and Technology. They often are mentioned together when talking about education. Plymouth-Canton Community Schools has a history of supporting educational technology, not just the current trends, but the 'right' technology to support and enhance learning. Sounds a lot like 'Always On Learning.' It may take us awhile to get there. One technological trend forecasting firm believes it may take the rest of the decade before we are truly collaborating globally. The 2020's will see our first use of Tangible computing. By the end of the 2030's, education is not only Always On - it will be interconnected with every aspect of our lives. Today, Plymouth-Canton Community Schools is ready. DVDO's Air and Belkin's ScreenCast AV4 eliminate the hardwired link between your source devices and HDTV. Which one is worth your cash? Vancouver Canucks use 4 30K lumen Digital Projection projectors to wow fans pre and post-game... this is a sick system! Plus, All Quiet on the Western Front on beautifully restored Blu-ray! The Belkin Tablet Stage allows for the seamless sharing of documents and three-dimensional objects with the usage of a tablet device with camera. This video demonstrates how easy it is to assemble and install your own Belkin Tablet Stage with just a few steps and simple tools. The Belkin Tablet Stage makes learning engaging for both instructors and students with the usage of just about any modern tablet. Watch the above video for a visual demonstration and visit http://belkinbusiness.com/products/b2... for more information about this product. Here is a speech that talks about Local control and how it is being attacked. Glenn has been talking about the dangers of Common Core for quite some time now, and as the new standards are rolled out in more and more states, parents, students, and teachers alike are speaking out about their frustrations and concerns. On radio this morning, Glenn played the anti-Common Core plea one concerned student, Ethan Young of Farragut High School in Knox County, TN, gave at a local school board meeting in Tennessee earlier this month. What did Ethan say that had Glenn calling it “the best argument against Common Core? High school student Pierre combined biology, math, economics, and more to transform his campus greenhouse into a sustainable aquaponic system that provides fresh vegetables for the cafeteria. This video is part of the Made With Play series, a co-production with Institute of Play. Videos were made possible through generous support from the Carnegie Corporation of New York and the John D. and Catherine T. MacArthur Foundation. A very scary virus. CryptoLocker is here. SIR KEN ROBINSON - How Are You Intelligent? In this Modern Lesson we discuss the major factors that might encourage you to roll out a BYOD program in your school, district, college or university. I think it's interesting in and of itself, but I also found it interesting how often he refers to "algorithms" and "mathematical modeling." I think this shows the power of algorithms, but also the need for our students to understand the algorithms, and also to understand that algorithms are first and foremost developed by humans and are not always set in stone, as when the algorithms appear to "adjust" or "learn" in the flipping sequence. If our students can be begin to understand that algorithms don't supersede our understanding, but can help enhance it, then I think we're on the right track. On the data center floor, cold aisle containment provides targeted cooling. This precision has many operational advantages, as we've seen. Servers are assured a consistent inlet temperature; air conditioners can achieve greater capacities; the chiller plant can become more efficient by supplying and receiving elevated water temperatures. STOP STEALING DREAMS: On the future of education & what we can do about it. Seth Godin is the author of 14 books that have been bestsellers around the world and have been translated into more than 35 languages. Permission Marketing was a New York Times bestseller, Unleashing the Ideavirus is the most popular ebook every published, and Purple Cow is the bestselling marketing book of the decade. His free ebook on what education is for is called STOP STEALING DREAMS and it's been downloaded millions of times since it launched in January, 2012. In addition to his writing and speaking, Seth is founder of squidoo.com, a fast growing, easy to use website. His blog (which you can find by typing "seth" into Google) is one of the most popular in the world. Mr. Flanagan you need to fund education, if the business people want trained employees. If the corporation in the state would pay there taxes they and not find loop holes how to get out of paying taxes then there would be enough money to support the educational process that is needed for the skills that they are looking for. When will the leadership in the legislative branch and the government employees see that we are not funding education to be able to create the students that business wants. Can Technology Help Students Find the “Sweet Spot” for Learning? | MindShift: "Can Technology Help Students Find the “Sweet Spot” for Learning?" What you need today may not be what you need tomorrow. Future network needs associated with Common Core State Standards (CCSS) and statewide online assessments will require even greater investments in bandwidth. Are you ready? I predict with the new requirements of Mobil computing that there will be a high demand for true enterprise wireless networks. The technology leaders will need to look at the Internet Bandwidth demands and be able to supply a solid network backbones ready to carry 10 gig traffic on all be the smallest networks. 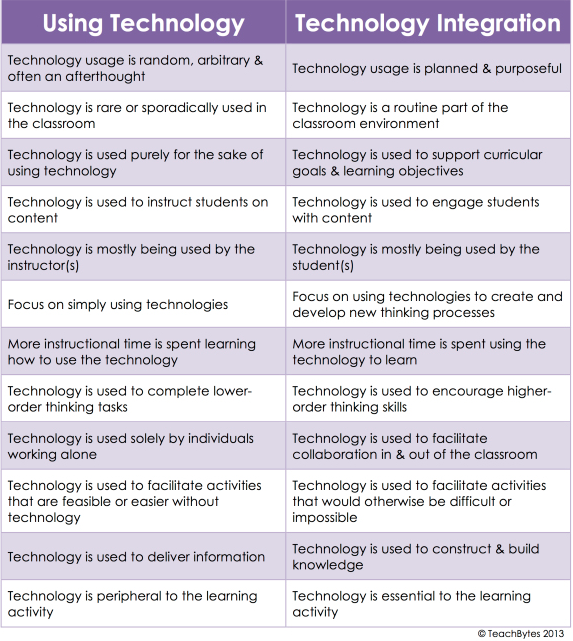 Technology is transforming - Teaching and learning. Start planning for your future bandwidth needs today. Chromebooks are fast, intuitive, and easy-to-manage computers that gives students and teachers access to all the educational resources of the web. Whole Brain Teaching in first grade classroom. It's been two weeks since Apple released iOS 7 beta to developers, and even though it's a dramatic refresh to the user interface, that doesn't mean that like every piece of pre-production software, it didn't have its significant bugs. Apple has now released iOS 7 beta 2, and among the changes we have some apparent enhancements to how natural the voice of Siri is, the voice recorder app returns to the iPhone, and other bug fixes here and there. Probably the coolest news about this update is that iOS 7 now works on the iPad. In this video we go hands-on this new refresh to Apple's tablet line-up and tell you all there is to know. Beauty lies in the eye of the beholder and we will admit that the refresh does make the iPad look better than it ever did, but then again, not everything seems finished in this update, so make sure you watch the video to make your own opinion. Teachers all across the world have come to trust and use a preferred provider of curriculum content: EducationCity.com! Let's find out why! Plato Courseware provides courses in a wide range of core subjects, electives, global languages, honors, and Advanced Placement® offerings. Courses consist of integrated assessments; including exemptive pretests that allow learners to forgo content they have already mastered and focus on the concepts that need additional work. Course-level assessments also include tests for each course module to ensure concept mastery. What do you want your students to know and be able to do by the end of your course? How do you identify learning goals? Do the activities you assign actually help students meet those goals? Professor Erica Halverson in the School of Education talks about curricular redesign and how the "backward design" framework can help you think through these issues.